UPDATE: The Ghost Out part of the day has been postponed. The assembly and activity will go on as planned. Be Above is sponsoring Ghost Out Day on Thursday, December 14. The morning will begin with an all-school assembly from 8:15.-9:00. The speaker is Linda Dutil, who is a ER nurse from Maine who speaks to the impact of alcohol and drug use. After the assembly students will report to their MOD 2 classes for an activity. We expect all students will want to have a chance to talk about what is happening on this day. We will send reflection questions and statistics that may be helpful to teachers. On Thursday, Guidance will also available to support students who may have difficulty with the topic due to losses. 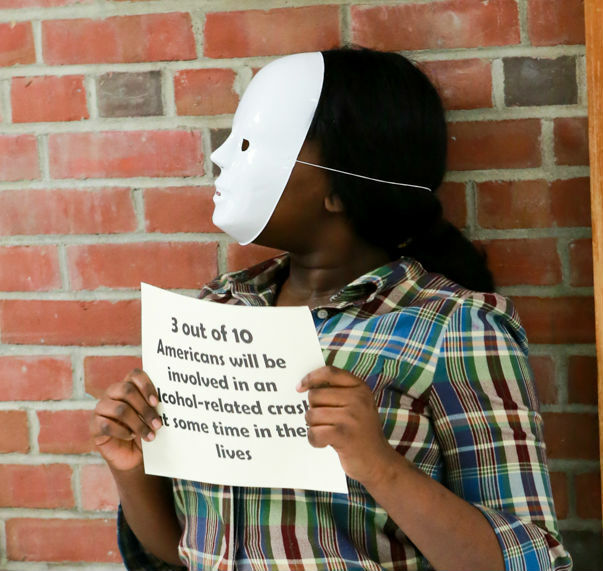 POSTPONED: In addition, some 7th and 8th grade students will leave the classroom and put on a white mask Throughout the day (every 50 minutes) to symbolize how many people are killed every day in the United States by drunk driving. The students are asked to be silent once they become a ghost. Students are told that they can take notes in class if appropriate.